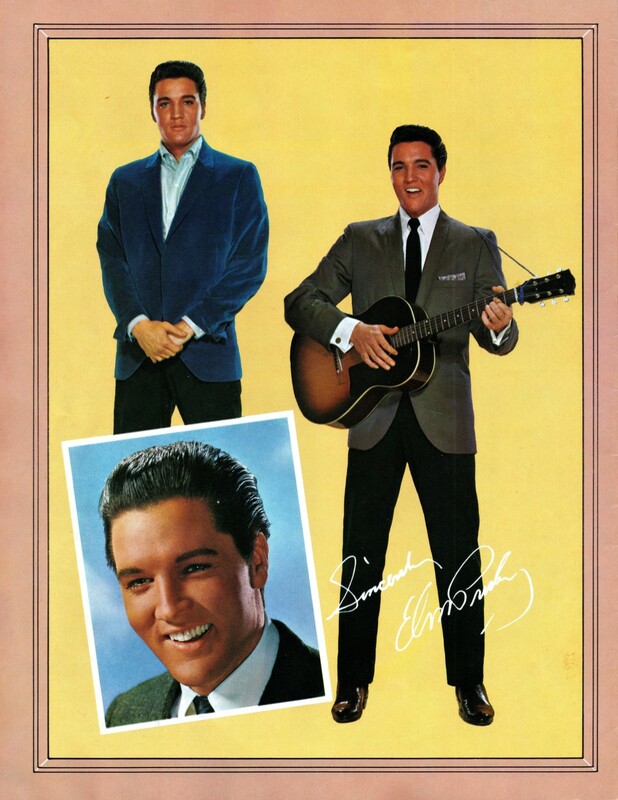 Contrary to the 50’s, when an overkill of Elvis Presley merchandise was produced, hardly any Elvis products, other than of course Elvis’ records, saw the light of day in the 60’s. The picture folio that is presented on this page was one of the few exceptions. 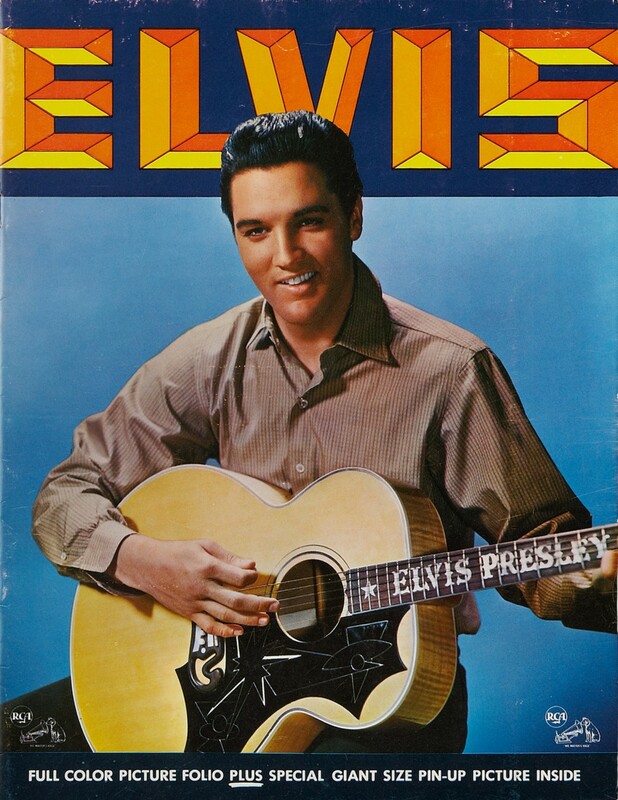 The 16-page folio, measuring 8.5″ by 11″, came free of charge with the purchase of Elvis’ Golden Records, Volume 3. This booklet was not sealed in with the album, but rather handed out by the store owner. 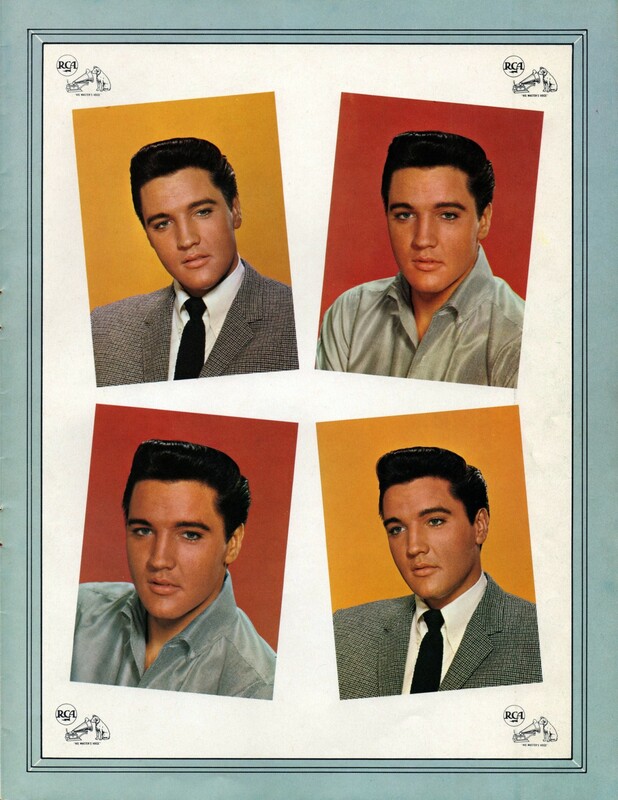 Elvis’ 18th album, released on August 11, 1963, consisted of five nr. 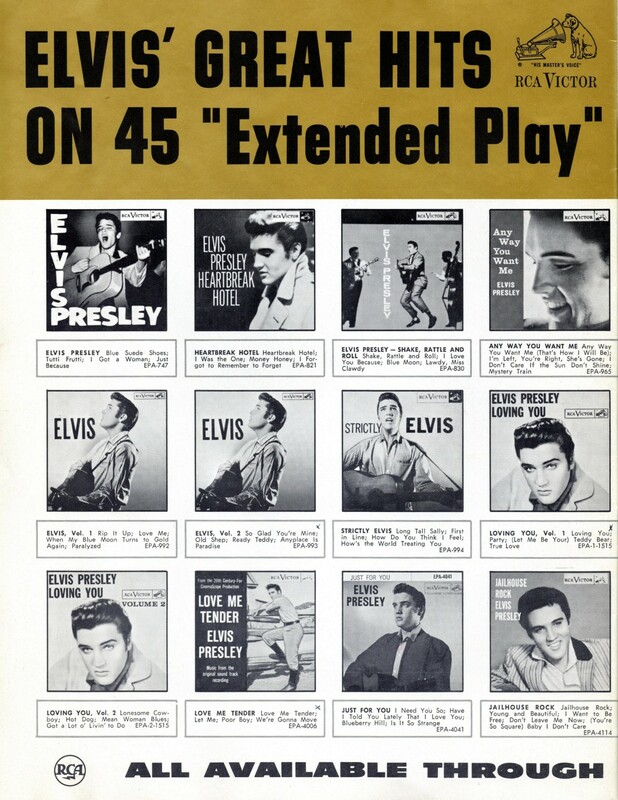 1 songs, three top 5 songs, and four songs that had made it into the top 40 between 1960 and 1962. In this article we’ll start by taking a look at some original documents regarding the publication of the photo folio, these will give us a rare insight into the business side of things, before we present a full scan (in high resolution) of the folio, as well as some background info. 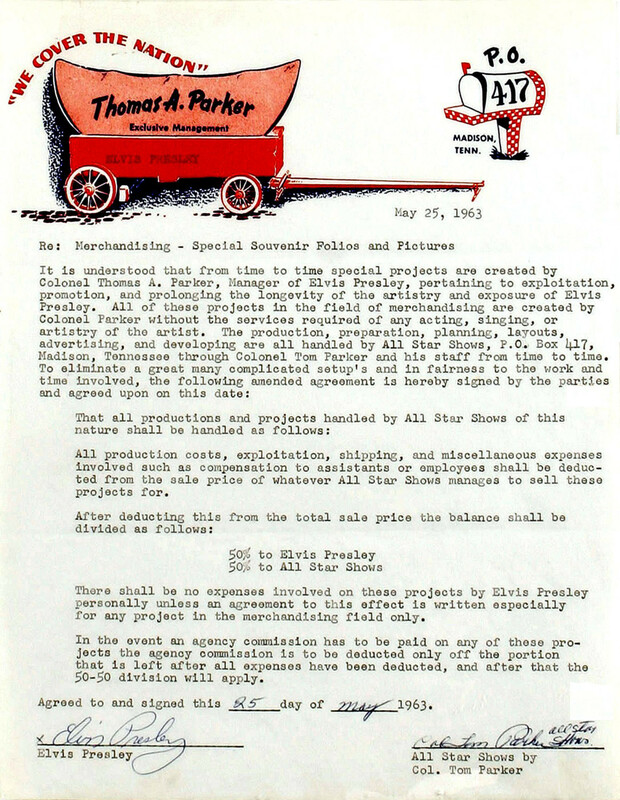 To the right we see a letter from RCA’s marketing department to Tom Parker’s company, All Star Shows, dated May 21, 1963. This document confirms an agreement made by both parties through earlier telephone and telegram conversations. From the document we learn that 250.000 copies of the photo folio were to be printed. 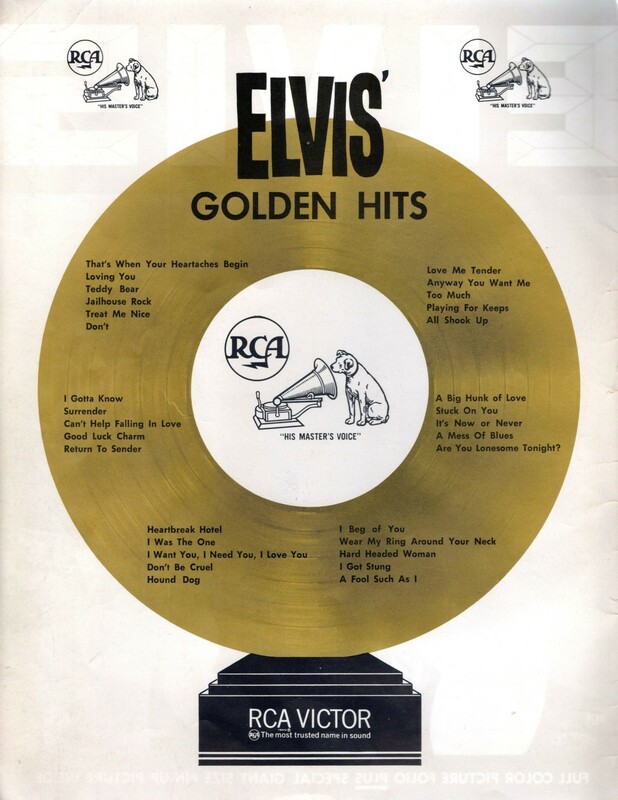 RCA Victor took care of the financial side of this project by paying All Star Shows an amount of $75.000. 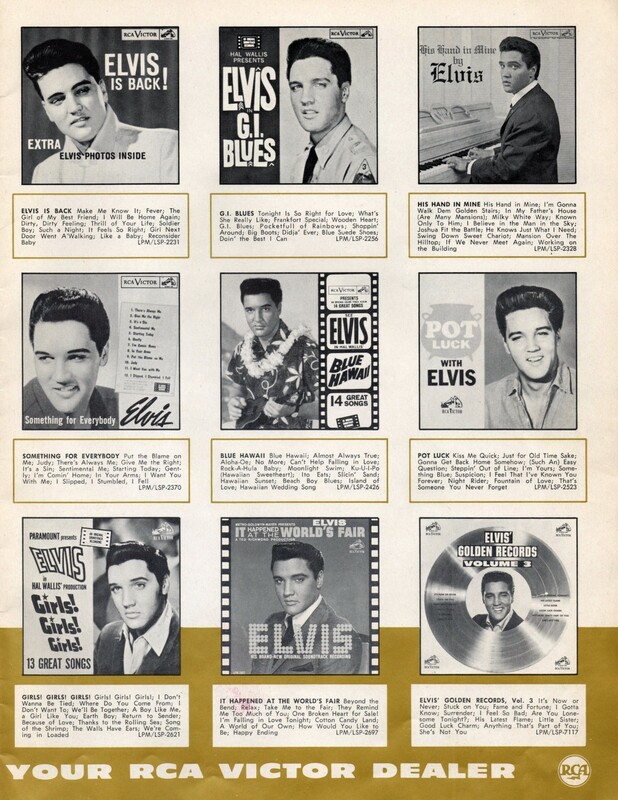 All Star Shows would then be responsible for producing the folio, and once all expenses had been paid, the remainder of the $75.000 would be divided 50/50: half going to Elvis Presley, the other half finding its way into Parker’s bank account. The amount of folios that were given away for free may seem like a large number. 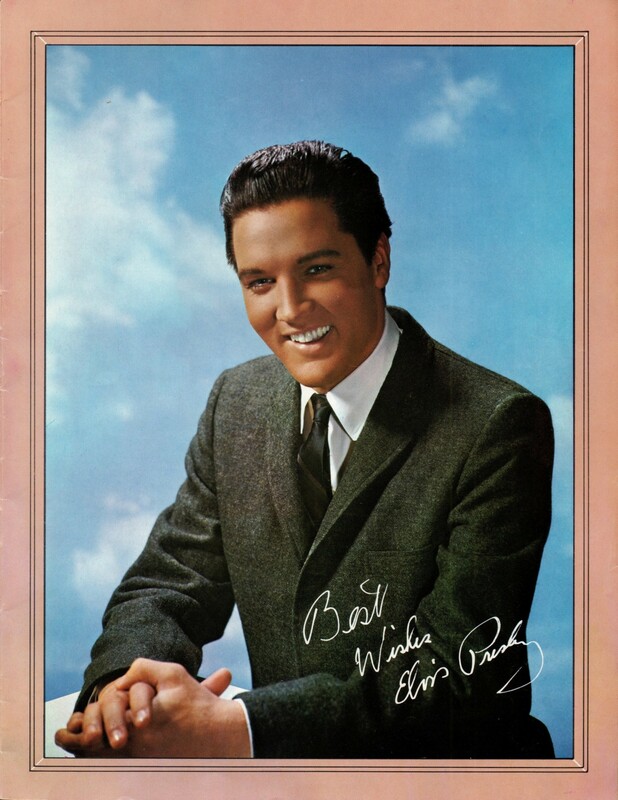 But the album quickly went on to become another bestseller for Elvis (peaking at number 3 on the chart), and by far the most buyers actually had to do without a copy of this giveaway. 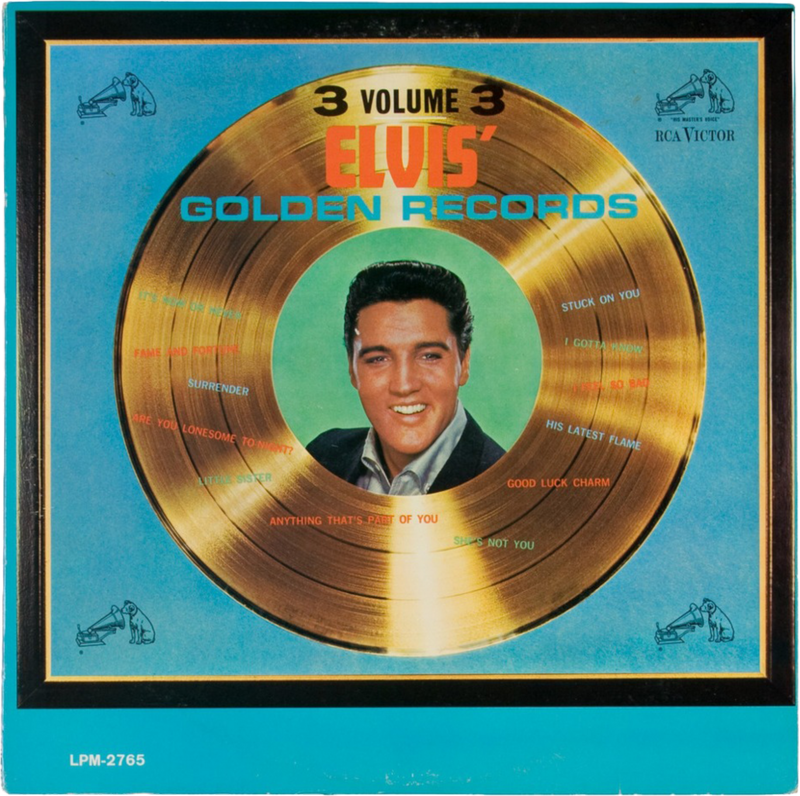 Interestingly, while the album was being advertised as “By Popular Demand”, this document shows that the release of a third golden records album had already been determined in March 1960. 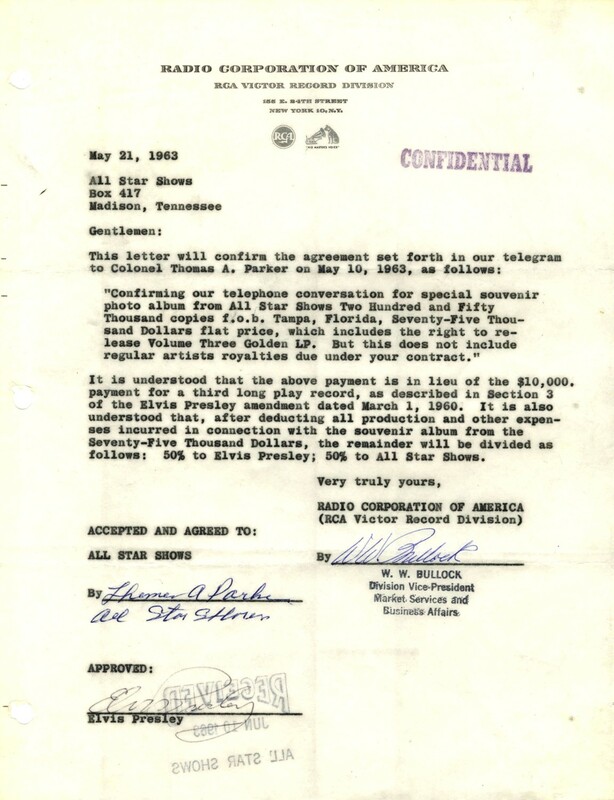 And here we have a contract between Parker and Elvis, it’s dated May 25, 1963, four days after the deal with RCA Victor. 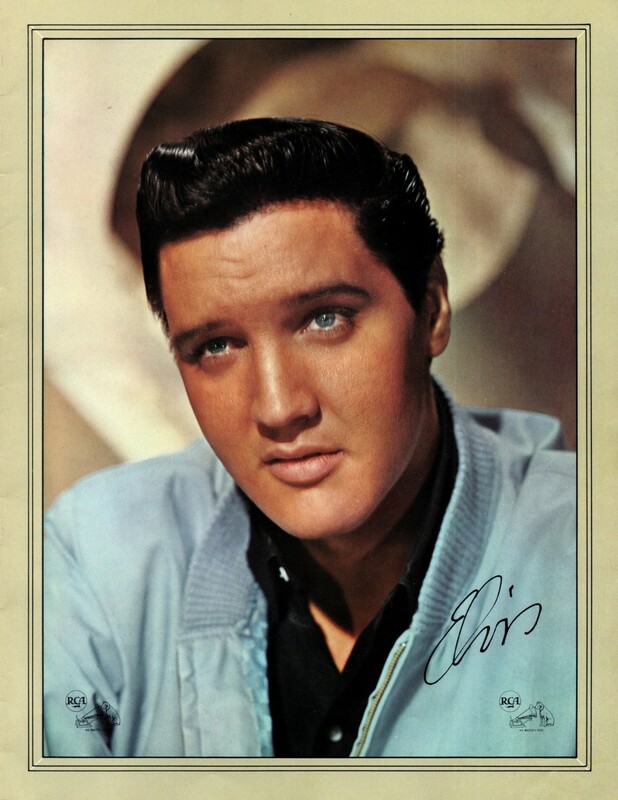 As stated in the contract, special projects (like the folio) would be created by Parker for the “exploitation, promotion, and prolonging the longevity of the artistry and exposure of Elvis Presley”. Should a 50/50 agreement like this be considered a fair deal? 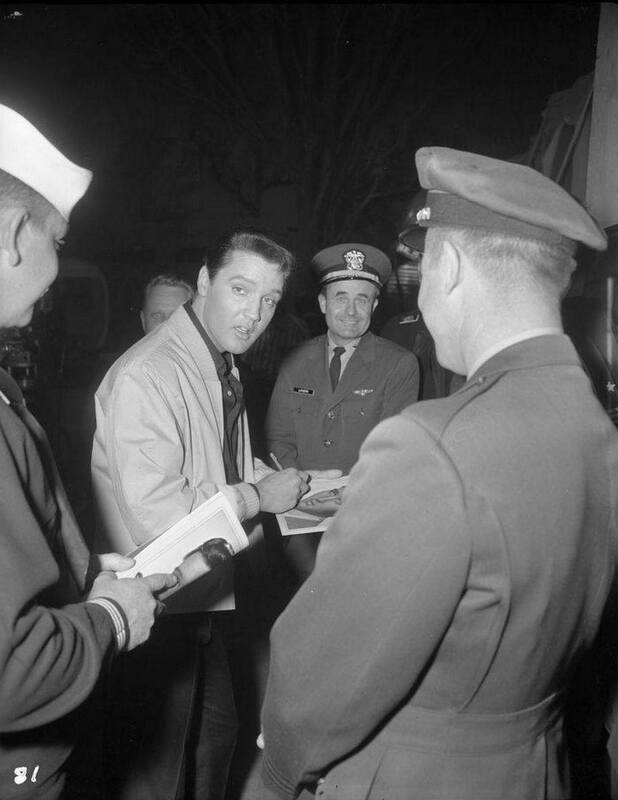 According to the contract, Elvis’ actual involvement was zero: “without the services required of any acting, singing, or artistry of the artist”, while Parker’s reasoning for receiving 50% of the profit (“in fairness to the work and time involved”), indeed make the deal sound like a fair one. However, Parker ‘forgot’ to mention that Elvis had to sit through the numerous photo shoots that are at the core of this folio. 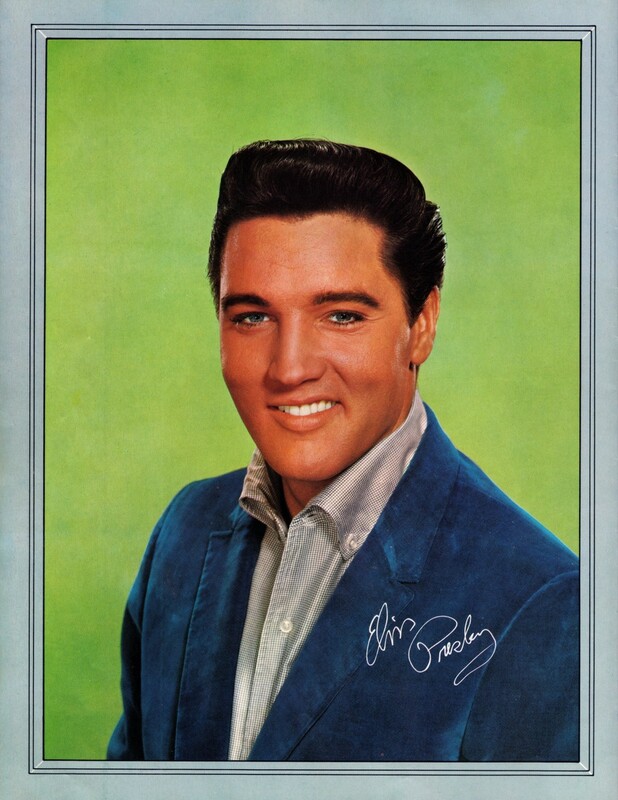 But most of all, by 1963, Elvis’ name and face alone were enough to sell the Presley product. 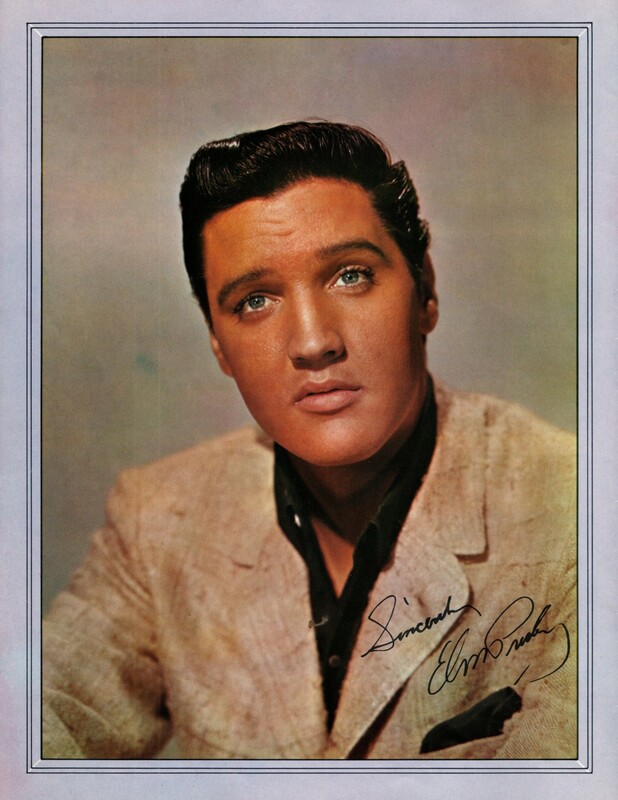 Notice the “x” next to the spot where Elvis signed the document, it’s written in the same color as Parker’s signature. You can almost hear Parker tell his golden goose: “Just sign here son, right next to the x, and I will take care of the rest”. 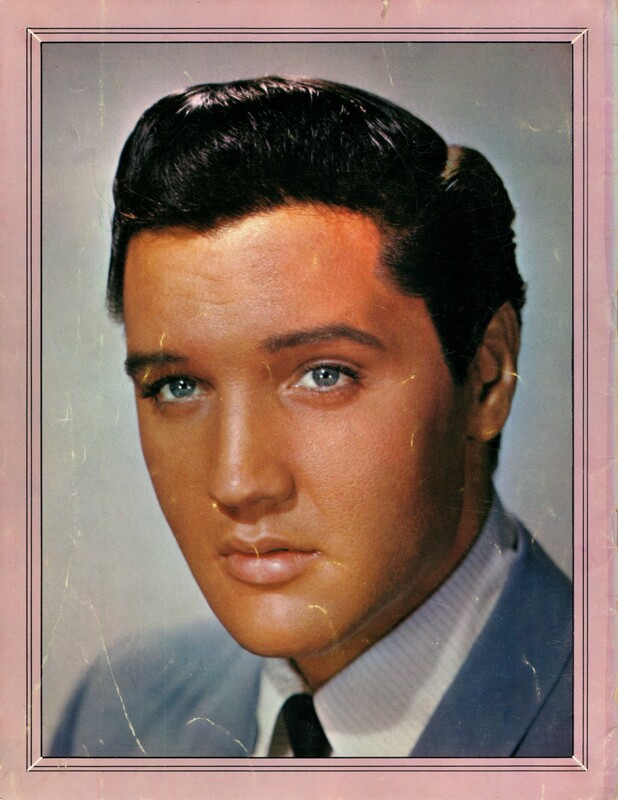 As mentioned on the front of the folio, a “giant size pin-up” was included with the booklet. This 11″ x 21″ pin-up, shown to the left, came attached to the middle pages of the folio and could very easily be removed. The back of this poster is white. Interestingly, when the picture folio appears in auction (and you can always find a good copy of the folio on eBay), the poster is nearly always still attached to the book. Had this folio been produced in the 50’s, the poster would most probably be missing from the bulk of the copies that still exist today. 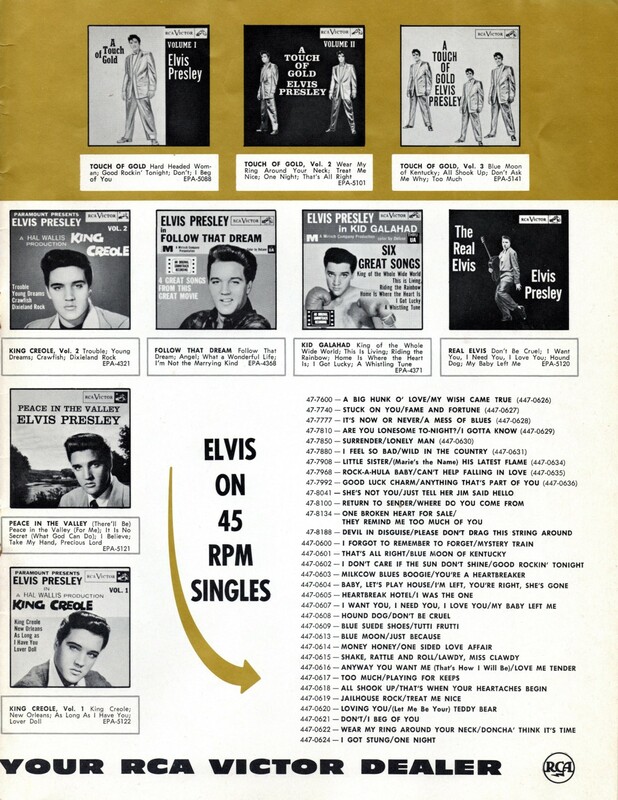 Prior to the release of the third Golden Records album, the promotional poster we see to the right had found its way to record stores all over the country. The picture folio gets a mention near the bottom of the poster. Nowadays impossible to find, this promo collectible measures 11″ x 31″. 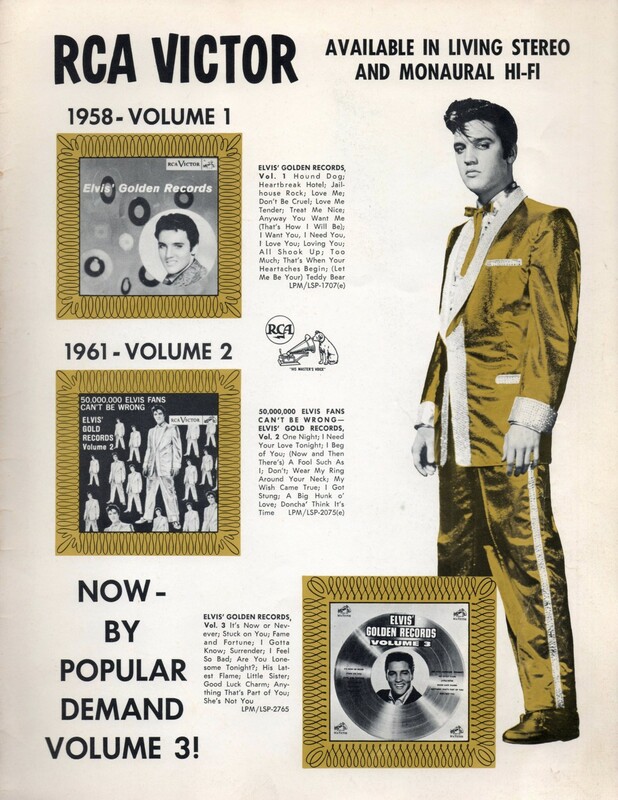 When going through the folio, it becomes clear that this item is actually a promotional tool for Elvis’ record catalog. 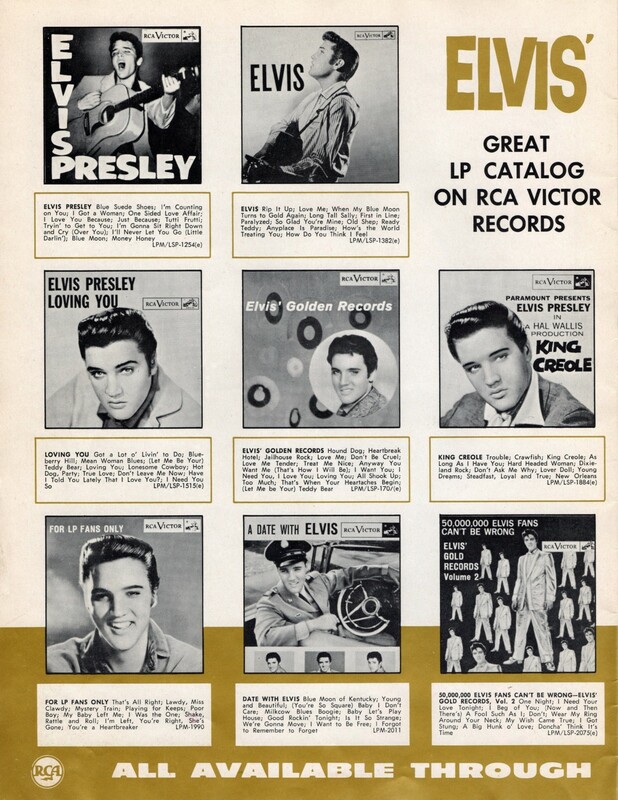 Of the folio’s 14 inner pages, 6 are dedicated to advertising Elvis’ RCA records, and the RCA logo appears no less than 20 times in the booklet. But, the folio was handed out for free, so who’s complaining? Well, the fans certainly weren’t! 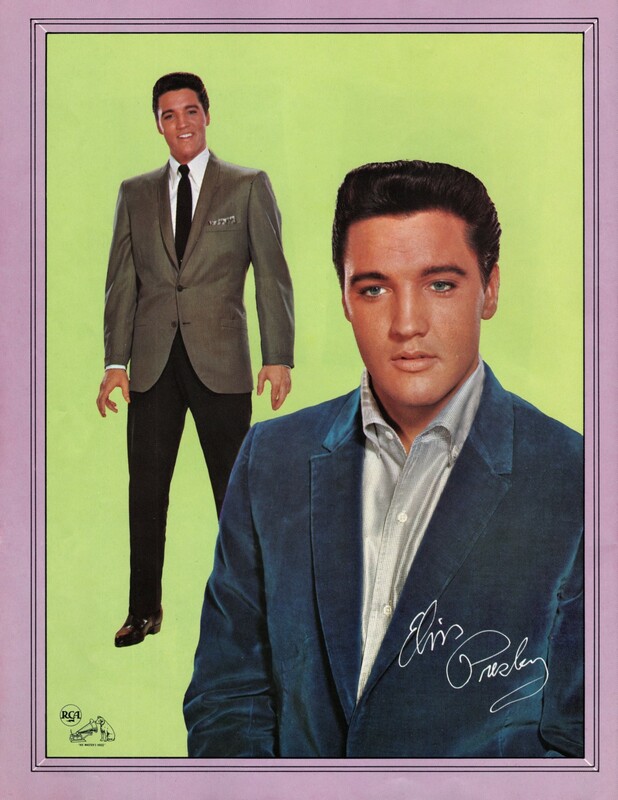 In 1963, an Elvis Presley picture book was a most welcome addition to any fan’s collection. 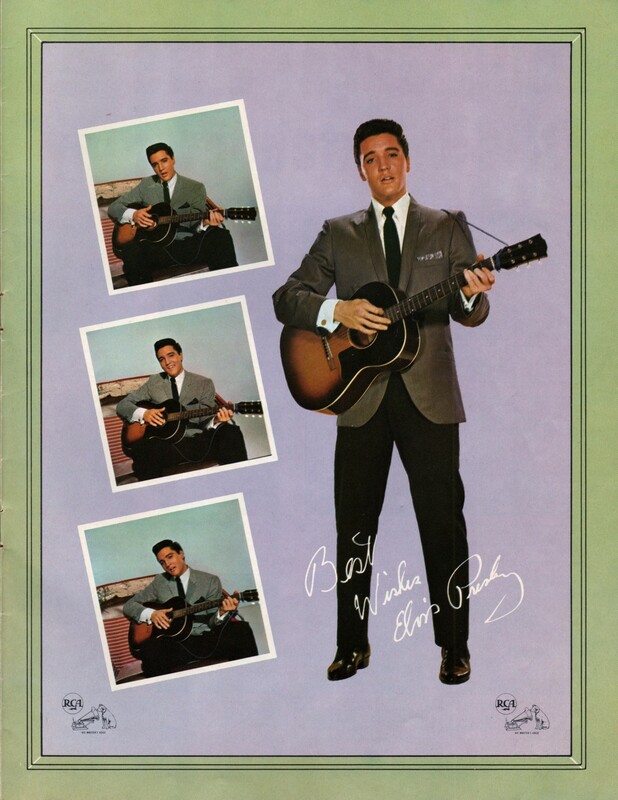 The front cover and page 3 are from Wild In The Country (1961). Pages 6, 7 and the back cover are from Girls! Girls! Girls! (1962). Pages 8, 9, 10, 11 and 14 are from It Happened At The World’s Fair (1962). And the poster is from Fun In Acapulco (1963). The only point of criticism with regard to the photos, is that the photo insert on page 14, is identical to the photo on page 3. To the right we can see Elvis signing the back cover of the picture folio on the set of Roustabout (1964). At the risk of sounding like a broken record, this was a very interesting read. The pic on the Roustabout set is terrific. Thanks (again)! A broken record never sounded so good! Thanks for your support Judith! Excellent as always, Bob, thanks. You’re very welcome, and thank you for the nice compliment! Fab pics of the great man. Thank you.